This is an update to my low end stab at furnishing my classroom with devices for student use (see other post here – Low end tech: a solution?). Along with several old laptops I have been utilizing some DOPO Android tablets that have served very well. I was able to restore one device that was out of commision and that enabled me to utilize 8 of these tablets for a few months. After a tragic drop of one of the devices a couple of weeks ago (an accident), I was back to 7 DOPO tablets. Walmart had a good deal on these devices (upgraded versions for $39.99 each); so, I used some birthday money to order 5 more. These devices have been stellar in meeting the needs of my students. I have added cases for each and that has been a good investment in protecting the devices from day to day wear and tear. I have had to adjust some of the tutorials (QUIA and ExamView activities – see weekly Agendas) that I create on a regular basis in order to bypass the lack of Flash availability on the Android devices. The old laptops are holding up well, and Ubuntu has been a refreshing answer to the old Windows machines. The Macs run well with OS 10.4+ and meet the needs of everything that is required for learning. The Android devices, particularly the DOPO tablets, in addition to students being able to use their own phones and a few other devices via a BYOD network is allowing access for all students on a daily basis. I have set up a separate Gmail account to manage the Android devices that I will begin using once the new tablets arrive this week. 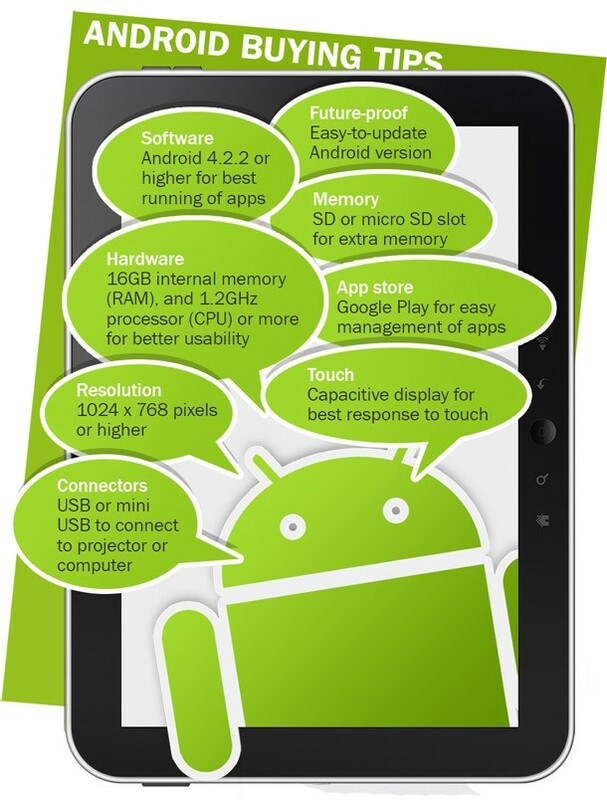 I load each droid with the minimal browser and a few apps that enhance the classroom experience. Power management is achieved via several power strips, and I am looking for an improved storage system, but we are making do with what we have. Each of my students have a Google account via the school district that they can utilize as needed; so, my students are equipped with all the tools they need to be productive and to create on a regular basis (See our recent infographics projects). The better solution would be if I didn’t have to pay for and support it all myself, but I have found a way for my students to be engaged, to learn, to remediate, and to be enriched on a regular basis. If you are looking for a low cost device that is sturdy, reliable, and engaging I highly recommend DOPO tablets as a positive addition to your learning environment. Having students create an infographic is a great way for them to gather and organize data and information that they can display visually. The following article shows ways to create infographics using PowerPoint.